Guide updated on 18th April 2019 to recommend the Narex Rasp. 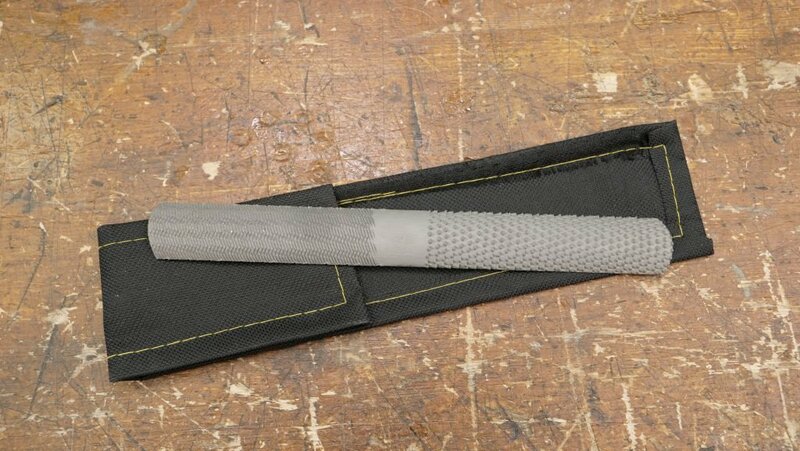 Although a hand stitched rasp makes for a more effective cut and finish compared with the machine made ones, as it has irregularly placed teeth, this also makes them much more expensive and less of an entry-level tool for beginners (they usually cost over £100). Note: We purchased this similar looking rasp which was not to the same standard and Paul would not recommend buying. For a less expensive option, Paul recommends a four-in-hand farrier’s rasp. Although these less expensive, they are smaller so you will have to work for longer to achieve the same results as you would with a longer rasp. You can purchase these for less than £10 on Ebay or a similar site. We purchased this rasp from eBay for £2.80 with free delivery. ** If you are ordering from the US, we recommend this one from Amazon. Please note Paul has not purchased this, however it seems to fit his recommended criteria. Hand stitched rasps are cut according to right-handed or left-handed use. If it is possible, may I suggest an update of the text informing on whether these recommended rasps are suitable for left-handed persons. Narex Coarse rasps 8″, 10″ and 12″ respectively have decreasing levels of teeth per square cm (8″ = 16, 10″ = 12, 12″ = 10 teeth per square cm respectively). Does this mean that the larger the file the coarser it will be? 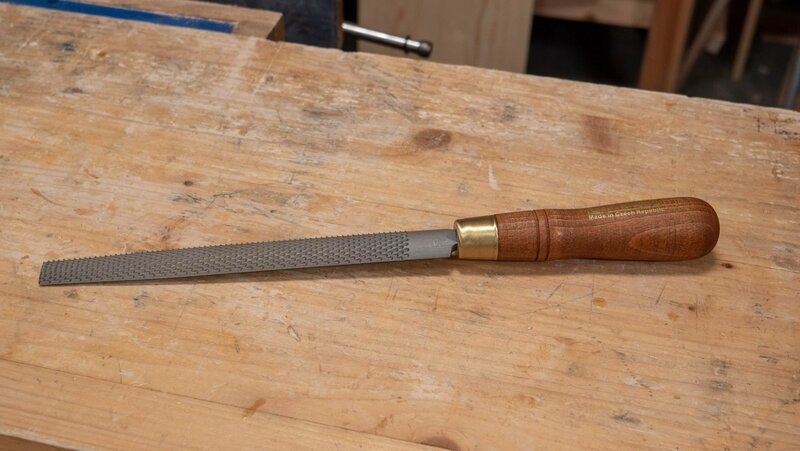 Is the 8″ rasp recommended due to the teeth count or simply a respective length? Additionally, how is coarseness defined for Rasps? Narex uses Coarse and Fine cut designations while Grobet uses Cut 4, 5 and 6. Is it worth getting a Fine Cut Rasp or should I switch over to a file at some point?